We advise execs, train individuals & coach teams—with culture, team/role design, skills and methods as pillars. Our 500+ clients have achieved impressive customer value, effectiveness and agility. We conduct assessments, advise execs, train people and coach teams on culture, organisation structure, methodology and scaling. 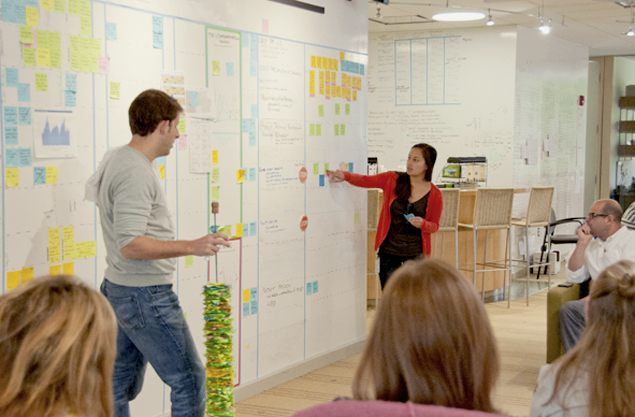 SoftO2 takes a holistic and end-to-end approach covering culture, organisation design and methods. ◼ We assess, advise and facilitate to build a change strategy through readiness assessment and strategy workshops. ◼ We build skills to prepare everyone with our own 30+ Lean-Agile courses with 4 delivery formats. ◼ We coach changes such as guiding the initial story backlogs, iterations, collaborations and retrospectives. We treat a healthy mindset and culture change as a prerequisite for implementing any of the Lean-Agile methods and practices. We have therefore developed coaching experience and designed courses specifically related to people and culture. Organisations with multiple departments and teams are discovering the benefits of scaling up Lean-Agile from the IT team level to the rest of the organisation. We are specialised and certified in implementing custom-fit ecosystems for multiple teams and departments, using SAFe, Spotify or customized/hybrid models. We love to share information. SoftO2 Resources & Blog includes useful checklists, flash cards, articles, insights, and ideas that can help you with your Agile journey. Modern learning, rich flexible content, high interactivity. SoftO2 offers eCourses that are perfect for individuals who prefer instructor-taught training at their own rhythm. eCourses cover the same topics as the live formats. Our Learning Management System (LMS) runs on all popular devices and allows for personalised sequencing, self-assessment and communication with the instructor. Receive updates with new software engineering news, trends, methods and tools—augmented with our experts' insights. We also point you to new resource materials, courses and public events.